Colon cancer is the second leading cause of cancer deaths in the United States, but screening rates leveled off in recent years after improving steadily since 2000. Over one hundred thousand people will be diagnosed with colon cancer this year, and 1 in 3 people over the age of 50 is still not getting screened. USPSTF assessed many different screening methods for colon cancer, including both invasive and non-invasive tests. The task force assessed how well each test reduced overall incidence of colon cancer by catching both precancerous polyps and the early stages of colon cancer, while also taking into account the safety of each test. What did USPSTF find out? 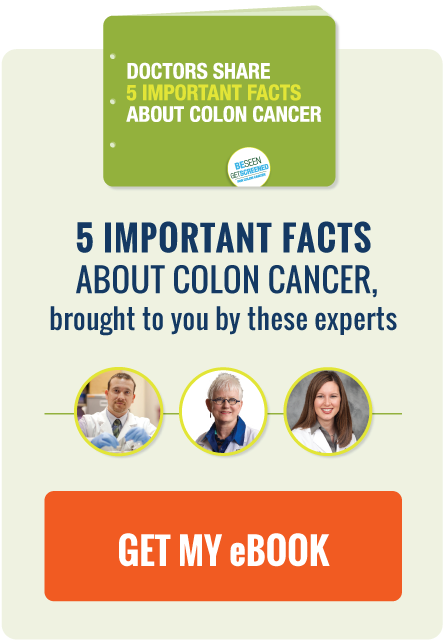 The bottom line is that people between the ages of 50 and 75 should get screened for colon cancer by any of the screening options listed in the guidelines, including both invasive options (colonoscopy, flexible sigmoidoscopy, and flexible sigmoidoscopy with FIT) and noninvasive options (FIT-DNA, CT colonography, gFOBT, and FIT). USPSTF noted in the guidelines that “there is no ‘one size fits all’ approach” to colon cancer screening, recommending that patients and their doctors should choose the screening method which best fits that patient’s individual needs. The main takeaway from these guidelines is that getting screened regularly, regardless of which approved screening method is used, can help reduce the incidence of colon cancer. Vice President Joe Biden hosted the first ever Cancer Moonshot Summit. Check out these 11 worthwhile tweets. Are 3D Virtual Reality colonoscopies the colonoscopies of the future? Here are 8 things that might help prevent for colon cancer.